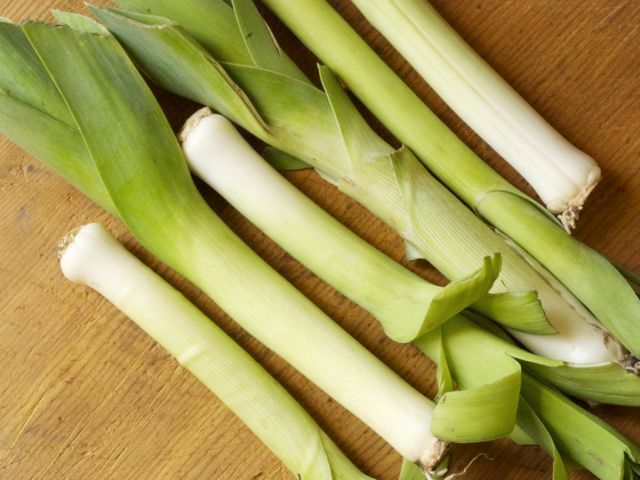 I’ve always thought it was fitting that leeks were the national symbol of Wales — not because they share any particular inherent qualities, but because both have a tendency to be overshadowed by their showier, more attention-grabbing companions. It’s not that leeks are forgettable, exactly. Most people recognize them, and there’s something striking about their sturdy, unglamorous shape. It’s just that they’re often overlooked — relegated to the bottom shelf in the produce section, chopped and cooked beyond recognition into soups and sauces, or puréed alongside potatoes, forever playing a supporting role. But there’s a lot more to leeks than potato soup. Like onions, garlic, shallots, and chives, leeks are alliums, a genus that may serve as the single common link connecting human cooking across both time and geography. Grown on every continent, there’s almost no ethnic cuisine that doesn’t use alliums as a core ingredient. Unlike most other alliums, leeks don’t form a bulb; rather, they grow much like a large scallion (or green onion), with straight sides and a dark green, branching top. The white, tightly layered root end of the leek is the part most frequently used in the kitchen. While the dark green tops are excellent additions to stock, their tough and fibrous quality makes them mostly inedible. In order to create that crisp white stalk, farmers heap soil around the plants after they’ve become established, blocking sunlight and creating the longest possible blanched shaft (a similar process is used for Belgian endive and white asparagus). Most recipes are quite specific in how leeks are to be cleaned. Because they can be gritty, slicing the trimmed shaft lengthwise into two half-moon shapes is typically recommended in order to make it easier to rinse between the layers. I often skip this step and just slice leeks intact, then rinse the rings in a salad spinner or bowl of cold water, simply because it’s easier. Both options seem to work equally well. The flavor of leeks is mellower, sweeter, and less intense than most onions or shallots, and when sautéed in butter or olive oil, they practically melt into a dish. Sliced, they can be substituted for other alliums in braised meat dishes, browned to create foundational flavors with celery and carrots for risottos or stews, or sautéed to include in scrambles or other egg-based dishes like quiche or strata. Frizzled in hot oil, they become crisp and deeply golden; these are great for adding texture to deviled eggs, salads, or even curries (much like a fried shallot). On the barbecue, leeks take on a kaleidoscope of textures and concentrated flavors: crisp and charred on the outside, soft and creamy on the inside. Alongside a piece of grilled meat, they become almost condiment-like — a delicious and easy way to make even the most low-key weeknight barbecue feel like a treat. Grilled leeks are as simple as they are tasty, the ideal thing to nestle next to steaks on the barbecue. Their many layers means that leeks hold sauces (like this vinaigrette) wonderfully, and while they are one of the mildest of the alliums, they can still go toe to toe with bold flavors like anchovies and garlic. Slice the leeks lengthwise and rinse to remove any grit. Pour 2 tablespoons of olive oil over the halves on a plate, and set aside. In a mortar and pestle, pound the garlic clove, anchovy fillets, and a pinch of salt until they form a smooth paste (large-grained kosher or even rock salt works well here to provide extra grit). Add the mustard and mix well. Slowly add the ⅓ cup olive oil, one small splash at a time, while mixing with the pestle. After adding all of the oil, the mixture should be very shiny and relatively thick — not as stiff as an aïoli, but still thick enough to adhere to the sides of the mortar. Then add the lemon juice, one teaspoon at a time, mixing with the pestle until the whole dressing is thin enough to pour and tastes balanced but still highly seasoned. Add pepper to taste. Place the leeks on a hot, covered grill, cut side down. Flip once after 5 to 7 minutes (or when the cut side is browned and slightly charred on the edges, but not blackened). Cook another 5 to 7 minutes, then place cut side up on a plate and pour the dressing over. Garnish with the minced herbs.